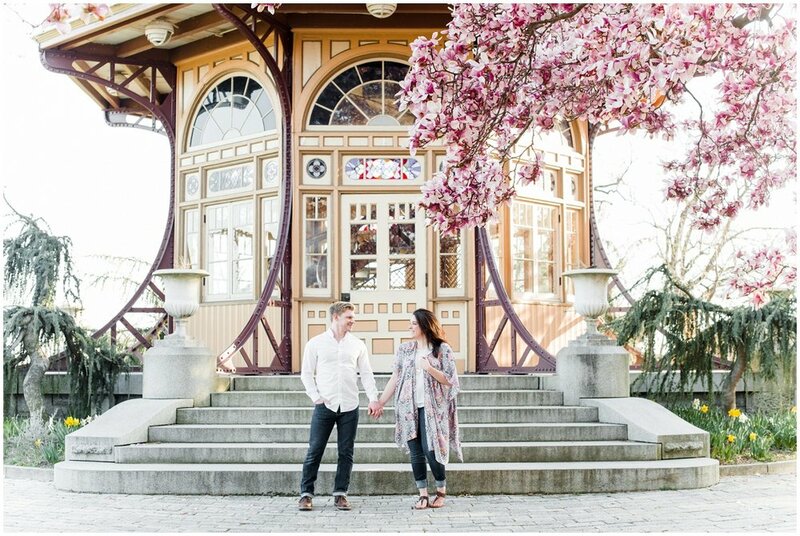 Esther and Alex had their first date at Patterson Park, so naturally it was the perfect place for their Engagement Shoot. We photographed on the first nice day of the season in 75° weather and it was so unbelievably nice and refreshing to be out in such gorgeous weather. After I parked, I walked around watching dogs playing fetch, kids picking flowers and playing on the playground, and lots of runners. Everyone was out enjoying the weather! These two are super cute. They have a dog named Max (that looks so much like my dog, Bax! ), and a sassy cat named Minerva. 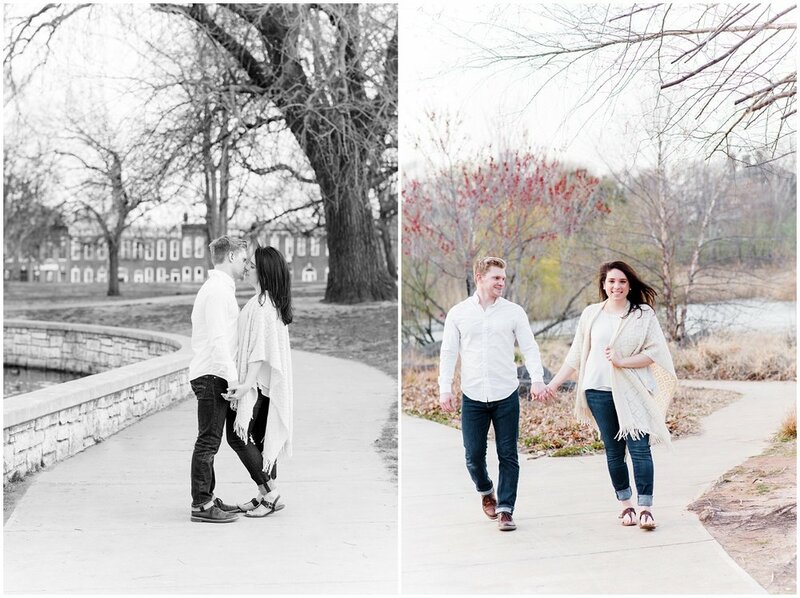 They love to travel together, enjoying destinations like Acadia, Maine, and Iceland - so cool! Together they check out new restaurants around Baltimore, favoring hot spots like Clavel and Thames Street Oyster!